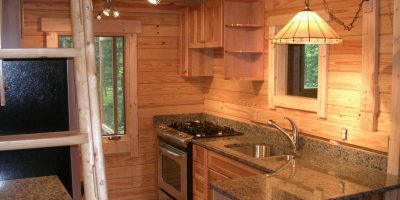 These 17′ x 31′ prefab log cabin kits have the same floor plan as our 14′-7″ x 27′ Heritage log cabins but are more spacious. 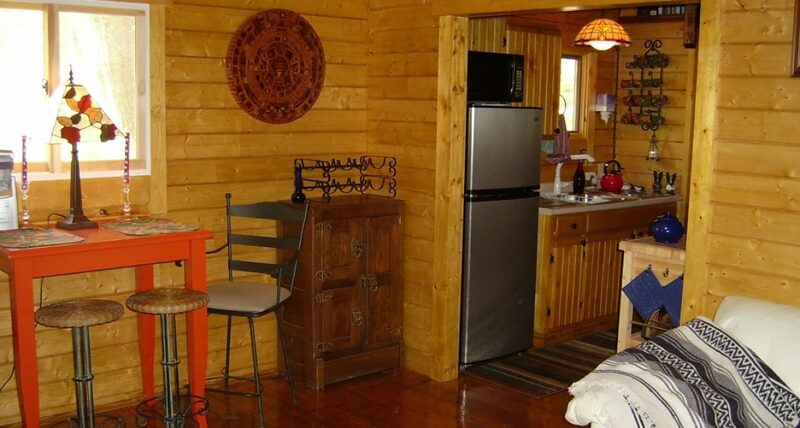 At a roomy 727 square feet, all of your vacation log cabin needs will be met. 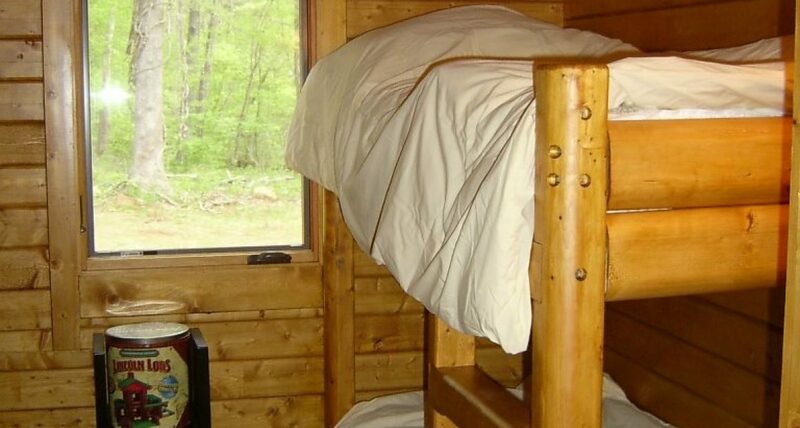 Separate bedroom provide privacy. A full kitchen is a must for making hearty breakfasts, baking chocolate chip cookies and frying up the catch of the day for dinner. 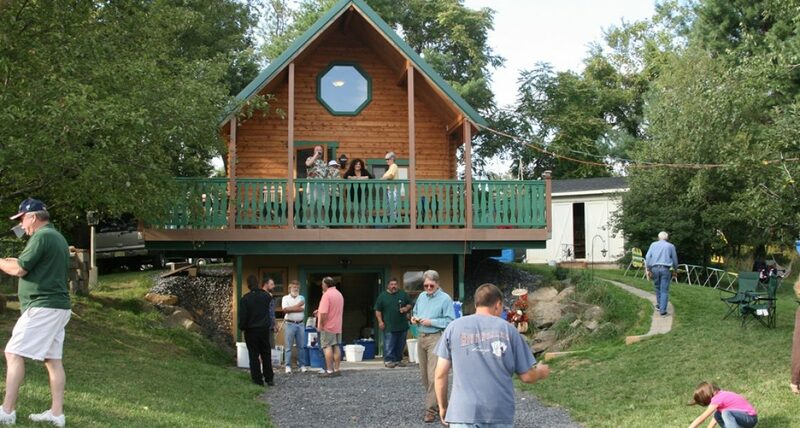 In the Vacationer, your guests can enjoy the outdoors with all of the comforts of home. 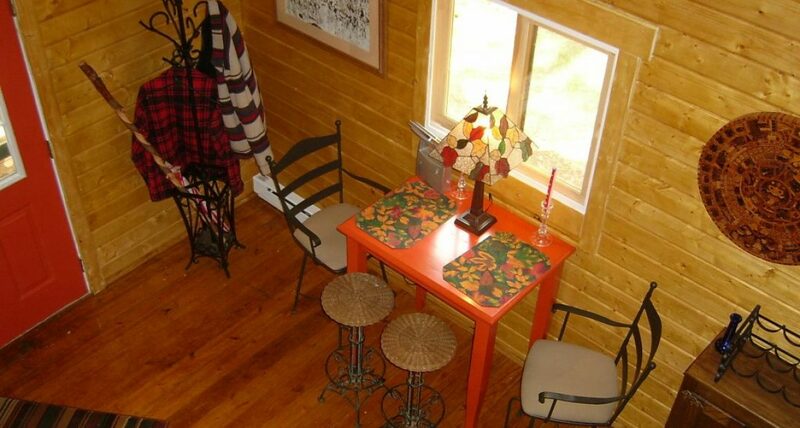 As the name implies, the Vacationer is the perfect vacation log cabin. 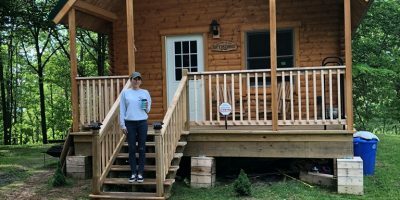 These prefab log cabin kits are ideal for the campground and resort owner who wants spacious cabins for families, individuals or couples who like plenty of room. Whether your guests like to hike, explore nature, swim or fish, they will love returning at the end of the day to the Vacationer. Placed in the right setting, The Vacationer is a guest’s dream come true and a resort owner’s most profitable investment. 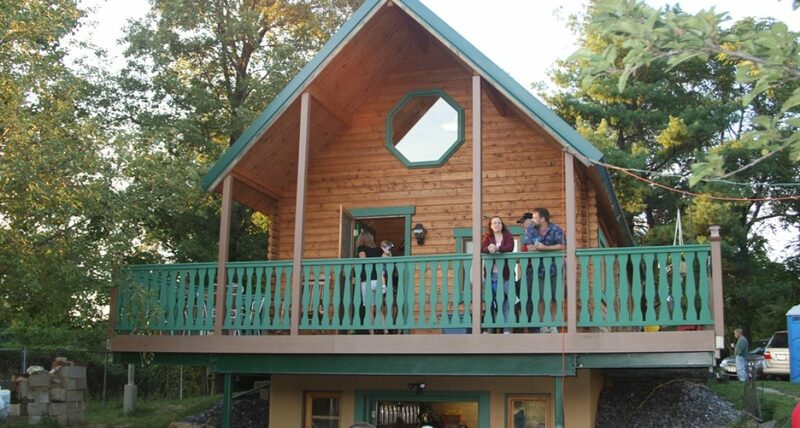 The Vacationer log cabin kits are among the best cabins for sale. 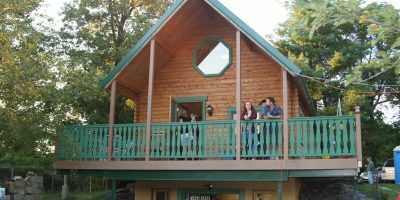 Like all Conestoga prefab log cabin kits, the Vacationer is fully customizable and can be altered to fit the needs of your guests. The options are almost limitless. If your guests would appreciate more outdoor living space, consider bumping out the covered porch. 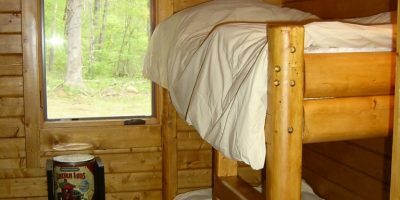 Do you want to give your log cabins a more authentic feel? 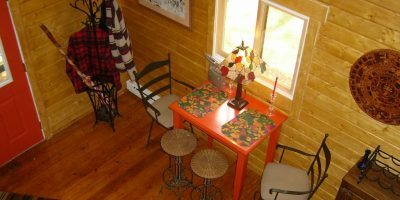 Include cedar log furniture as a finishing touch.